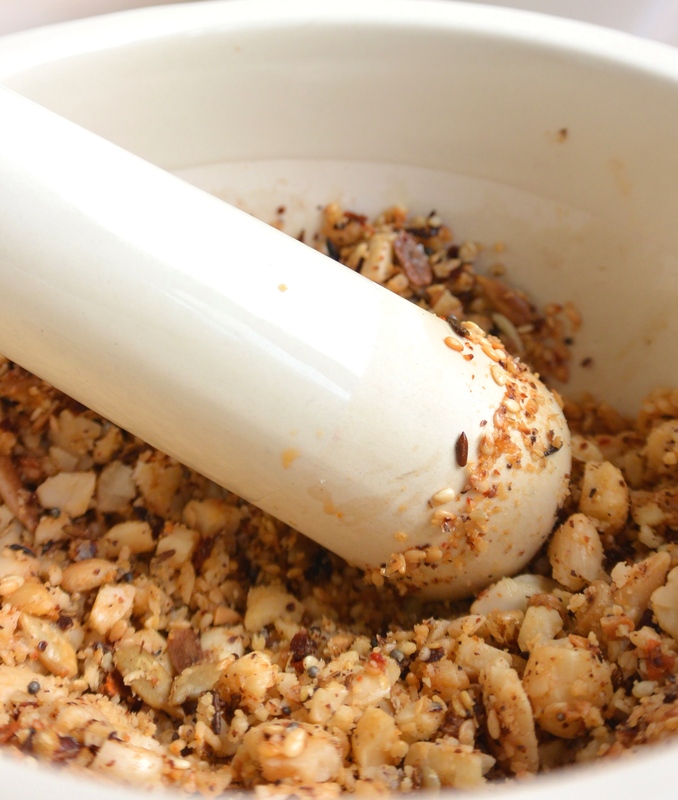 Dukkah is a mix of spices, seeds and nuts. It’s a Middle-Eastern dish, traditionally served as a dry ‘dip’ with veggies or bread. You could serve this at a party, I’m sure your guests will be pleasantly surprised! You could also have this as a snack or even as your lunch; Chop the veggies into smaller pieces, add a few spoons of yoghurt and sprinkle the dukkah on top of it to make it into a salad. Even an egg maybe…? 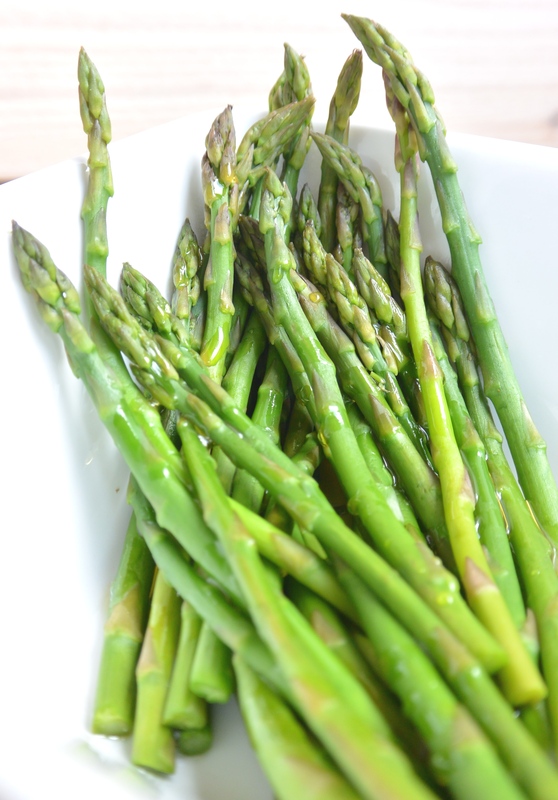 I served the Dukkah with green aspargus, which I steamed for a few minutes. Just a drizzle of extra virgin olive oil and they taste so good! Goes fantastic with the crunchy Dukkah. Heat a pan above a medium heat fire and roast the nuts and seeds in the pan. Shake the pan regularly to prevent the nuts and seeds from burning. When it turned slightly brown add the nuts and seeds to a mortar and let it cool down. Next, heat the olive oil in the same pan and add the garlic, chili, seesalt and paprika. Stir for a moment and then add to the mortar as well. Now crush everything with the mortar into small bits and your Dukkah is done! Posted in Lunch, recipes, SnacksTagged dip, Dukkah, fit, food, glutenfree, glutenvrij, healthy, healthy lifestyle, healthy snack, herbs, lunch, natural, nuts, recipe, seeds, snack, sugarfree, suikervrij, vegetable, vegetables, vegetarian, veggie, veggiesBookmark the permalink.